All eyes are on the RBI board meeting that kicks off in Mumbai today, which is expected to see a showdown of sorts between the bankers and the government. Among the contentious issues expected to be discussed are liquidity measures for non-banking financial companies (NBFCs) and easing of lending norms for banks under the Reserve Bank's prompt corrective action (PCA) framework. Given concerns that NBFCs have frozen lending amid fears of a liquidity crunch, the government is determined to break the logjam that's causing a credit squeeze for micro, small and medium enterprises (MSMEs), which employ millions, people in the know told The Economic Times. "Housing sales have almost stalled," said one. "First, bank credit was denied, and now NBFCs have also stopped." Addressing the liquidity squeeze is seen to be crucial to boost economic activity and generate jobs. 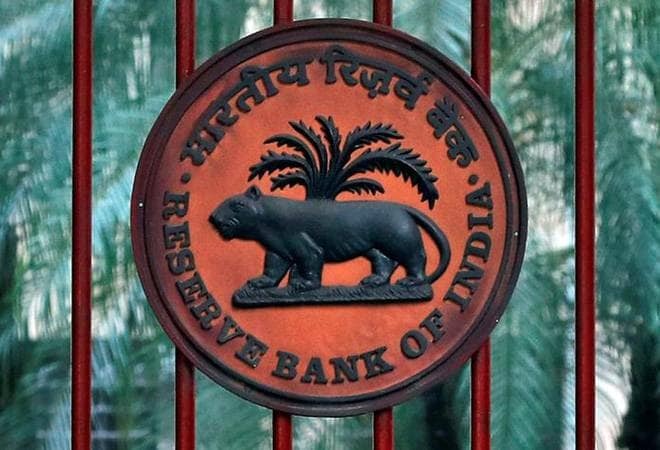 But the RBI believes that there is no liquidity problem or financial crisis, as it has reportedly informally communicated to the government, citing statements from the State Bank of India and HDFC Bank. At the meeting today, the regulator is likely to argue that no default has taken place so far despite the market panic and loud speculation, thereby justifying the status quo. Furthermore, actions such as a special liquidity window for NBFCs would convey the message that there is something seriously wrong, which rather than helping the economy, could result in the opposite outcome. But the Centre believes the regulator holds a fuzzy macro view of the situation and isn't aware of ground realities. With the general election due by May, and voters concerned about weak farm incomes and whether enough jobs are being created, the government is keen to stimulate the economy and sees the RBI's hawkish stance as a barrier. Significantly, the government's view has been endorsed by international rating agency Moody's. "India also faces a potential sharp slowdown in credit availability as non-bank financial institutions face a possible credit squeeze," the agency said in a November 15 report. While Finance Minister Arun Jaitley has made clear that policy makers should not attempt quick fixes to boost growth, at an event on Saturday he was quoted saying that shortage of liquidity should not stifle economic expansion. According to him, the country is still paying the price for shortcuts taken after the 2008 financial crisis. Over the past weekend, two board members told Reuters that government pressure for easier lending policies is likely to become abundantly clear at today's meeting - the first to be held since the extent of the rift between the RBI and the government became public knowledge. Other flashpoints at the meeting include deputy governor Viral Acharya's fiery speech last month warning about the dangers of undermining regulatory autonomy and the state's strongly-contested request for a higher payout from the central bank's reserves. On the latter, the board may decide to constitute a committee under an expert to study the issue and recommend the formula to be followed instead of discretionary approaches. Relations between the government and the central bank deteriorated over the past few months, with the Centre having cited Section 7 of the RBI Act in a series of communications with the regulator. The section, which hasn't been used before, allows the government to give directions to the RBI in matters of public interest. However, there have been signs of an uneasy truce in the past week as both sides toned down their criticism of each other. So chances are that any arguments at today's meeting won't precipitate a crisis. But at the same time, Prime Minister Narendra Modi's supporters have made it clear they want major policy change, and a senior finance ministry official told the agency that some government backers on the board had been given the green light to push hard at the meeting. Modi has packed the RBI board in the past few months with people with links to his party and economists favouring greater government influence over the RBI. In August, S. Gurumurthy, a confidante of Modi and until recently co-convenor of the Swadeshi Jagaran Manch, the economic wing of RSS, and Satish Marathe, a former banker who was in the student wing of the BJP, were named to the board. Last month, the government appointed retired bureaucrat Revathy Iyer and Sachin Chaturvedi, head of a Delhi-based think tank, while removing Nachiket Mor, who was close to RBI officials. In the bargain, of the 18 current members on the board, five come from the government bureaucracy, two are finance ministry officials, and two have close links to Modi and the BJP. Four have a business background, including Tata Sons chairman N Chandrasekaran, and the other five are Patel and his four deputy governors. Modi's supporters are confident that the newly-appointed members of the RBI board with a "nationalist vision" could over time press it to cut interest rates, transfer surplus funds to the government and ease bank lending curbs. While everything seems up in the air at the moment, one thing is pretty guaranteed: The meeting today is likely to be a marathon one, possibly breaking the previous meeting's record. Although the October 23 meeting ran for eight hours, only two out of 12 agenda items were taken up. The rest will reportedly be discussed today. ALSO READ: RBI vs Govt: What to expect from the board meeting?